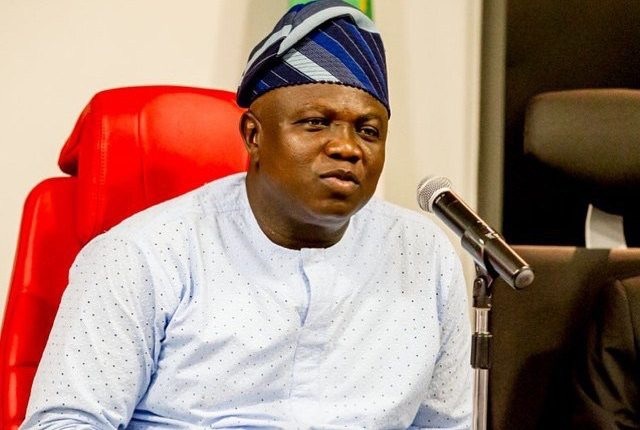 Senior officers in the Lagos State Public Service are tasked to make good decisions and implement statewide policies for the benefit of the entire citizenry of the state, the Governor, Akinwunmi Ambode has said. He spoke during a training of Director-level officers tagged, “High Impact Decision Making Programme for Directors in the Lagos State Public Service” in Lagos. Ambode, represented by the Commissioner, Lagos State Ministry of Establishments, Training and Pensions, Dr. Akintola, Benson said it is in recognition of the importance of the decision-making duties of directors-level officers in the State Public Service that the State trained the directors through the Ministry of Establishments, Training and Pensions. He stated that since the inauguration of the hisadministration, almost every officer of the Lagos State Public Service has been enrolled for at least one impactful and skill-enhancing training. He said he is confident that the benefits derived from training will be transferred to the public service as a whole for the benefit of the good people of the State. He said: “Decision-making is a truly fascinating science, incorporating organisational behaviour, psychology, sociology, neurology, strategy, management, philosophy, and logic. The ability to make effective decisions that are rational, informed, and collaborative can greatly reduce opportunity costs while building a strong organizational focus. Effective decision-making is a central skill necessary for success. This requires the capacity to weigh various paths and determine the optimal trajectory of action. “It is also important to distinguish between problem analysis and decision-making. Indeed, while they are related, problem analysis and decision making are distinct activities. Decisions are commonly focused on a problem or challenge. Decision makers must gather and consider data before making a choice. Problem analysis involves framing the issue by defining its boundaries, establishing criteria with which to select from alternatives, and developing conclusions based on available information. Analysing a problem may not result in a decision, although the results are an important ingredient in all decision making. “As to the matter of decision-making styles, the need for senior officers to develop a decision-making style that will make the proper implementation of government policies effective and will be tuned to achieving intended goals can never be over-emphasised”. The Governor believes that the job of a manager is, above all, to make decisions. “At any moment in any day, most executives are engaged in some aspect of decision making: exchanging information, reviewing data, coming up with ideas, evaluating alternatives, implementing directives, following up. But while managers at all levels must play the role of decision maker, the way a successful manager approaches the decision-making process changes as he or she moves up in the organisation. “At lower levels, the job is to get widgets out the door or, in the case of services, to solve glitches on the spot. Action is at a premium. At higher levels, the job involves making decisions about which widgets or services to offer and how to develop them. To climb the corporate ladder and be effective in new roles, managers need to learn new skills and behaviours to change the way they use information and the way they create and evaluate options,” he added.